RESTful API for WordPress Can Enable Many Features to a Website Like We Can Fetch Data for Facebook Page from Widget via HTTP GET Request. 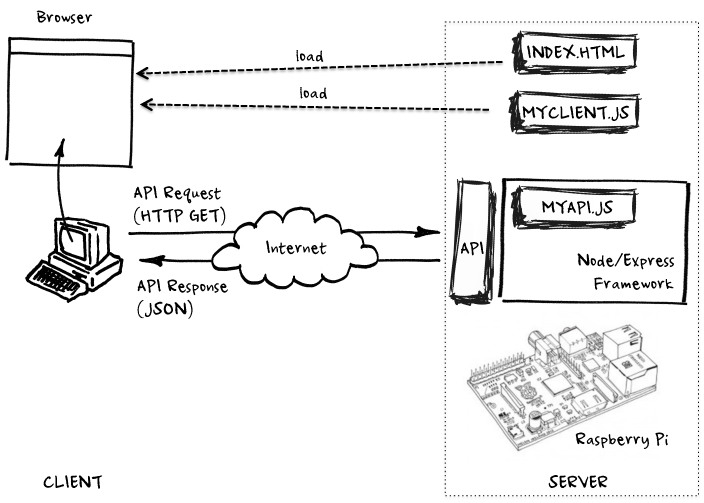 Previously, we explained Why Your Cloud Based App Needs API and if you are not sure what is REST API or Representational State Transfer API, you must read the linked article first. We have a nice tool named CocoaRestClient which can test your App™s response. As an example, the basics how a RESTful API for Self Hosted iOS App can be created was outlined. Importance of the whole descriptive phrase – RESTful API for WordPress to Enable Public HTTP GET Request for Posts is that; as a simple example; a subdomain of your website running WordPress optimized as iOS App, using the same database will act as an App itself. Secondly, next generation search engines (it is likely that Google will get replaced for enterprise grade search by a known Apache project, for example) can fetch the data in easy manner, social sharing no longer will require the old RSS Feed dependent system. As far the things are clear “ Google Bot or Google Search practically is an useless product which unfortunately has no alternative. We used RESTful API for customer services and other stuffs for custom application. Indeed, API has kind of site specific directory websites along with the description and usage of the API by the clients. It is likely that, as WordPress is the most commonly abused platform for spamming and Google practically has failed to rank good websites, highly penalized the original websites and promote content scrapping websites which uses RSS feed to create content. They outranked the main website as simply the scrapper website is very light (it is not intended to be well designed, hence light on size) and runs on free WordPress.com™s good cloud infrastructure. To counteract, people usually add links in RSS Feeds and only publish the excerpt “ still those come up higher in SERP as there automated plug ins to add Keywords, bold, italics etc automatically. With Publicly available RESTful API for WordPress, the chance of abuse might be increased. This is Google’s cache of https://thecustomizewindows.com/2014/04/restful-api-wordpress-enable-public-https-get-request-posts/. It is a snapshot of the page as it appeared on 10 Aug 2014 09:28:20 GMT. This Article Has Been Shared 7547 Times! Cite this article as: Abhishek Ghosh, "RESTful API for WordPress to Enable Public HTTP GET Request for Posts," in The Customize Windows, August 14, 2014, April 26, 2019, https://thecustomizewindows.com/2014/08/restful-api-for-wordpress-to-enable-public-http-get-request-for-posts/.